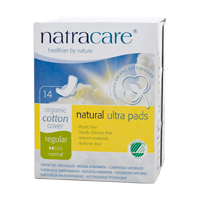 Natracare pads are made from only certified organic 100% cotton and renewable and sustainable plant cellulose. They are totally plastic-free and are totally chlorine-free. 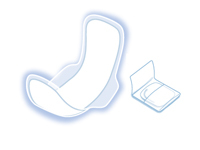 The absorbent core absorbs the menstrual fluid and locks it away so that the soft organic cotton cover allows your skin to breath while at the same time keeping you dry.